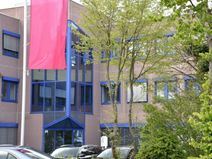 Conveniently located in the IT district of Mannheim, this building offers offices and meeting rooms, furnished to a high standard and equipped with the latest technology. They offer virtual office solutions and a highly professional environment for companies and entrepreneurs. Furthermore, there are conference facilities, IT support and parking onsite for your convenience, and, it is at close quarters to a shopping centre, restaurants and a great selection of local amenities. A selection of office of various sizes is available to let in the business district of Mannheim. The flexible size and flexible rental terms will accommodate any of your needs. Modernly furnished with great attention to details and equipped to a high standard, these offices are provided with conference and meeting rooms, an elegant reception area, kitchens and on-site restaurant to offer you a highly professional environment. These offices have direct access to the motorway and are excellently served by public transport, with the railway station located within walking distance. This impressive business centre is situated in the south-east of Mannheim, close to the centre of town and the railway station. The centre offers single office, flexible combination offices and various meeting rooms. There is also administrative/IT support so that your company can run as efficiently as possible, as well as reception services with telephone answering services. This is a smart, functional office centre with a practical location. Centrally located close to the main train station this modern office space is ideal for those looking to actively network. In the heart of Mannheim, the centre also offers a meeting room, a comfortable lounge area and kitchen facilities. The meeting room provides the ideal setting for internal meetings, presentations with external guests or confidential conversations. There is also a fine selection of hotels in which to accommodate your clients or visiting executives. Found in a convenient location, this business centre is located in the former residential city of Mannheim. This business district is dominated by the service sector industry with large electrical and mechanical engineering companies such as Daimler. This centre provides a renowned business address, giving your business the boost it needs. Nearby you can find public car parking if you wish to drive.